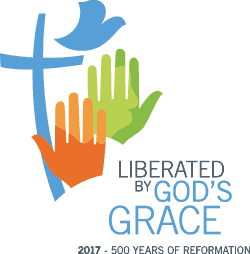 (LWI) – The commemoration of the 2017 Reformation anniversary in Colombia was also a moment to celebrate more than eight decades of Lutheran witness in the Latin American country and to affirm commitment to peace building. The Evangelical Lutheran Church of Colombia (IELCO) hosted a Eucharistic service on 5 November to mark the 500th and 81st anniversaries respectively. It was held at the Good Shepherd church in Cimarrona village, in the eastern municipality of Socotá, where IELCO’s missionary work began. The Lutheran World Federation (LWF) General Secretary Rev. Dr Martin Junge was among the more than 400 people participating in the service, which celebrated God’s faithfulness to the church and the possibility for its members to respond to the call for peace building in the country. IELCO Bishop Atahualpa M. Hernández said it was important to focus on unity with hope for a country that has only recently begun implementing a peace agreement, ending more than 50 years of armed conflict between the government and guerrilla groups. Junge said it was important to join IELCO as it commemorated the Reformation anniversary “because I know how much the conflicts of the past burden the memories of many today. I wanted to be with the church as it turns away from conflict and faces communion as God's gift and promise.” He noted this was particularly meaningful in the current context of reconciliation and peacebuilding in the country. At the conclusion of the service the choir of San Mateo church, a German-speaking congregation, presented a cantata called “Misa Luterana,” which incorporated different Colombian rhythms. Junge’s visit included meetings with indigenous people of Puebla Nuevo in the southwest, where the LWF country program in Colombia is supporting peace building initiatives.